Keep your bathroom clean with this refill for spray bottle. Bio D products have minimum impact on the ecosystem both in their use and in their manufacturing. Not tested on animals and have no animal by-products. For use on glass ceramics perspex chrome and most non-porous surfaces. Will stop the build-up of limescale with regular use. Natural biodegradable household products that are ethically sound safe to use and have minimal environmental impact on our planet. 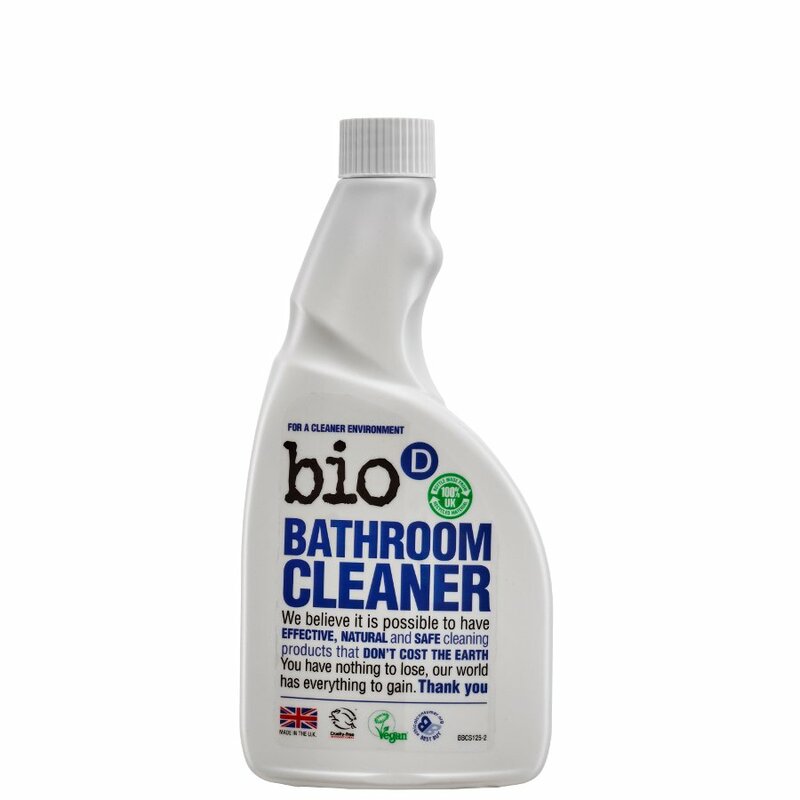 There are currently no questions to display about Bio D Bathroom Cleaner Refill - 500ml.